Braconier Sees Fifty Percent Labor Savings With Quarterback Water Closet Support - Jay R. Smith MFG Co. 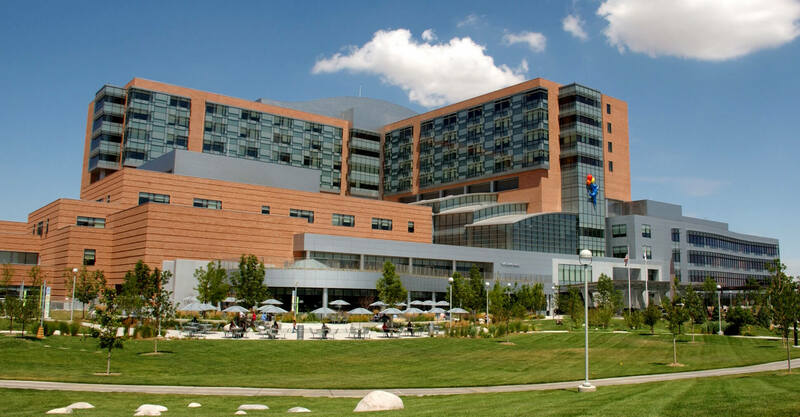 The Children’s Hospital Colorado, Anschutz Medical Campus in Aurora Colorado was open less than five years, but the hospital’s reputation as one of the nation’s leading hospitals gave them cause to expand the still new facility. In February of 2011, the Children’s Hospital Colorado embarked on a $230 million renovation and construction project, which included a three-story addition, as well as 89,985 square feet of renovated space on the existing hospital structure. As any plumbing contractor who has worked on a healthcare facility knows, off-the-floor mounted fixtures are the standard. They are standard because, in a hospital or medical environment, infection control is paramount. 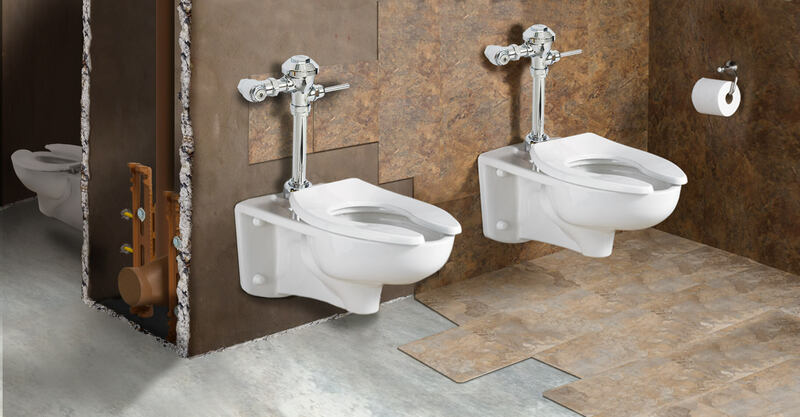 Off-the-floor water closets make - floor and wall cleaning efficient and thorough. Providing off-the-floor water closets with concealed water closet supports are essential to provide the proper structural support while relieving any loading from the wall structure. Braconier Mechanical & Plumbing Services, the plumbing contractor on the Children’s Hospital Colorado expansion and renovation used the new Jay R. Smith Mfg. Co. carrier, the Quarterback Water Closet Support. Tom Stone, President of Braconier Mechanical & Plumbing Services said the Quarterback provides a fifty percent labor savings because it’s quicker to build and assemble and it’s more adjustable, so you have a higher level of flexibility when compared to the older Linebacker. The Quarterback’s new leg design provides easy front access to the securing bolts, allowing easy height adjustments even with adjacent wall framing. Four securing slots per leg allow for the securing of attachments and accessories. This provides versatility in the pre-fabrication of water closet batteries while allowing the required slope in the horizontal waste line. The redesigned legs also provide a better fit against the angle iron often used for prefabrication. When working inside a shallow chase, an offset in the faceplate moves the legs back, providing a rough in depth that is 3/4 inch shallower for singles and 1-1/2” for doubles. Another significant improvement is the new vent placement. Vent placement 2 3/8” from the centerline of waste outlet eliminates interference with the water supply to the flush valve, especially in back to back applications. On this particular job, Braconier was doing the majority of work in individual patient rooms, rather than public restrooms with multiple fixture installations. There was a mix of newly constructed patient rooms, and on some floors, the rooms had been shelled out during the original construction. When working in the individual patient rooms, Braconier found it more beneficial to start the water closet support setup in their fabrication lab. They unboxed and assembled the faceplate to the fittings, adjusted them to the correct fixture outlet roughing height and sent them to the job site. There are situations where a fifty percent labor savings isn’t just about reducing costs nor was working back in the shop always about convenience. Braconier found themselves in a situation where speed was especially important. The renovations were taking place in active areas of the hospital that administered critical care to patients including Center for Cancer and Blood Disorders, Orthopedics, Neurosciences, Digestive Health, Respiratory, PICU, CICU, CPCU, and NICU. All throughout the project, General Contractor, GH Phipps challenged the project team to utilize “outside the box” thinking to minimize impacts to patients and caregivers. The Children’s Hospital Colorado Neonatal Intensive Care Unit (NICU) was one such area where the team wanted to minimize impact as much as possible. The hospital was converting a one-room unit where the individual patient areas were separated by curtain dividers, into individual patient rooms to give the families of these vulnerable patients privacy during a very stressful time in their lives. The NICU was to remain operational while the work was taking place. The last thing Braconier wanted to do was add more stress to those patients and families. Stone said it was important to be sensitive to patients and their families. As a contractor, you want to be in and out of that area as quickly as possible, so as not to create added pressure on families and the medical staff. The Quarterback helped them get in and out of that area with as little disruption as possible. In total, there were 50 water closet carriers installed. The entire project is expected to be completed in April 2014.